Techcrunch writes about Beirut’s startup scene and features Beirut as part of it. As my flight out of Beirut reached cruising altitude, and the seat buckle lights flickered off, I leant back in my chair and wondered if I had, in fact left the country just in time. Admittedly, it wasn’t quite an ‘Argo-esue’ escape from another Middle Eastern country, but labelling a controversial government minister on a conference stage as an “idiot” maybe wasn’t the wisest of moves. Beirut is not a town known for its placid history, after all. Furthermore, my comment had made the front page of the Beirut Daily Star the next day. Perhaps it was just as well that I left the next day. But the trip was worth it. Beirut is rapidly shaping up to be a powerhouse for startups in the Middle East. It has many of the key elements: a highly entrepreneurial culture; incubators and accelerators; venture capital; some gradually favourable government policy and access to growth funding. The exits and the ‘PayPal mafias’ may be a ways off but its a beginning. In part because it is the most liberal state in the MENA (Middle East and North Africa)region, and has a western-style banking system bequeathed to it by the French a long time ago, Lebanon is uniquely poised to generate startups which aim both at the Arab world and the wider world at large. Last week a new $71 million MENA-focused VC fund was announced by Leap Ventures, based out of Beirut. And the Lebanon Central Bank “Circular 331” initiative promises to put up to $400 million into the local startup economy. In addition, this year, the UK government is supporting a scheme to bring Lebanese startups to the UK and to the attention of London-based investors. Furthermore, late last year the country saw the launch of its very own Disrupt-style startup-focused conference. Banque du Liban Accelerate wasn’t the first conference about technology in Lebanon, but it was the first to focus exclusively on startups, and specifically, the Beirut tech startup ecosystem. It therefore benefitted from that far more laser-like focus, and even managed to attract over 50 international speakers from over 20 countries and 1,000 attendees (Video of the event here). Given that a civil war in Syria is raging on the border, this was no mean feat. Some parts of Beirut are awash with Syrian refugees, and yet delegates were treated to a startup conference close to any other they might encounter in the US or Europe. One of the attractions of the tech scene in Beirut is the city itself. The city’s restaurants, bars and nightclubs, equal anything you might find in San Francisco, New York or London. The safe areas of Beirut are well documented and patrolled by armed soldiers. Personally, I have never felt in danger in Beirut. The conference was also a leap of faith. Banque du Liban Governor Riad Salameh green-lit the sizeable event, while director Marianne Hoayek put the project into gear. 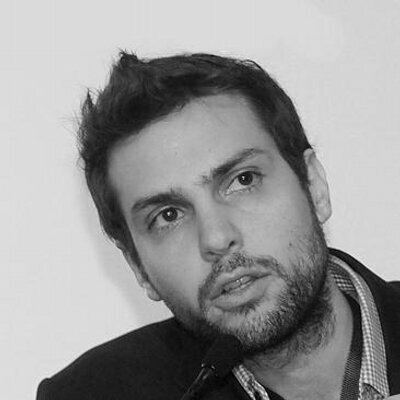 She in turn brought in Samer Karam (pictured above), who was previously involved in Beirut’s first attempt to create a Valley-style accelerator. The conference was also attended by some heavy hitters from the financial and political world including Marianne Hoayek, Director of the Executive Office at Banque du Liban, Riad Salameh, Governor of the Central Bank of Lebanon, Francois Bassil, Chairman of the Association of Banks in Lebanon, Mohamed Choucair, Chairman of the Federation of the Chambers of Commerce, Industry and Agriculture in Lebanon, and Tom Fletcher, Ambassador of the United Kingdom in Lebanon. But one heavy hitter that didn’t attend was Abdel Menhem Youssef. And perhaps it’s best that he stayed away. Let me explain. Unfortunately, it’s his policies which stand in the way of Beirut motoring ahead. The current average Internet speed in Lebanon is 3.11 Mbps, far lower than the Gulf countries such as the United Arab Emirates, which enjoys an average 27.9 Mbps. It’s been estimated that doubling Lebanon’s bandwidth could improve GDP by 0.6 percent. That’s a healthy amount for an emerging market economy which currently has a war on its doorstep and a refugee crisis. To improve the speed, in 2011 the country was connected to the India-Middle East-Western Europe (IMEWE) maritime cable. But while an improvement was felt., Lebanon still sits at 177th out of 200 countries on the Ookla list for Internet speed. The reasons for this are simple. It’s entirely due to local politics. Youssef, the head of the public-private organisation (OGERO, set up by the late Rafik Hariri) has blocked the utilisation and distribution of the IMEWE and other cables that have been hooked up. As of today, less than 10% of the available capacity of the already operational Internet cables is made available to the market. It’s scandal which ought to have those at the highest levels of government fuming with anger. Even former Telecommunications Minister Nicolas Sehnaoui (pictured above) estimates it would take only a year to organise fibre to the Home to every Lebanese citizen. If they could just connect up the IMEWE. The finger has therefore been pointed at Ogero, run by Youssef. The company is responsible for distributing the boosted Internet capacity enjoyed from the IMEWE to different Internet service providers as well as building the network. It also sells internet access direct to consumers. But, in a bizarre twist, Ogero’s chairman is not only the state regulator of the telecommunication industry, but also in charge of Ogero itself. So the body charged with widen gin broadband internet, is directly hindering the development of Lebanon’s internet economy and ultimately the development of the country. Indeed, Marwan Kheireddine, the chairman and general manager of Al-Mawarid Bank, has been quoted as saying that there is a conflict of interest within the Telecommunications Ministry, given that the general director is also the chairman of Ogero. “That doesn’t work. 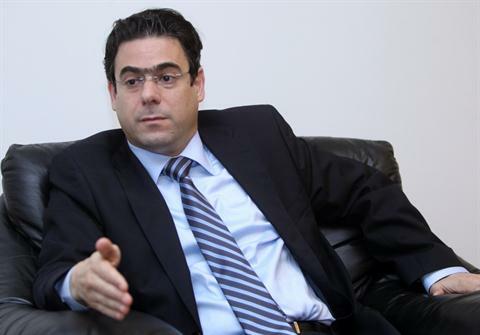 It is designed to fail,” he recently told The Beirut Daily Star. Certainly the implication is that Youssef is either incompetent (hence my ‘idiot’ remark) or worse. All this, despite a law drafted in 2001 which recommended that Lebanon fully privatize its telecoms industry. But this never happened. It never happened because the government at the time completely destroyed the telecom infrastructure in the hope of privatising it cheaply to cronies, and then reaping the benefits a couple of years down the line. For example, DSL deployment in Lebanon was actively stalled until 2006 in the hope that this privatisation would occur. This would partly explain why Ogero behaves in the way it does. However, there is light on the horizon for Lebanon’s emergent tech ecosystem. The current UK Ambassador to Lebanon (pictured above) and former Private Secretary for Foreign Affairs to the Prime Minister, Tom Fletcher, is powering a new initiative – a UK Lebanon “Tech Hub” would be formed to bridge the startup communities between Lebanon and the UK. But time is a-wasting. Lebanese startups need access to regional and international markets, as their success depended largely on their ability to sell products and services abroad. In that respect their fate matches many other smaller Middle Eastern countries. On Lebanon’s side however is it’s relatively liberal culture, it’s multi-language society and its reputation as a cultural engine of the Middle East. Lebanon’s investment scene remains small, but shows promise. So far three venture capital firms have established funds that have raised decent amounts of money. Middle East Venture Partners (MEVP), Berytech Fund and LEAP Ventures have each raised at least $50 million. MEVP has $75 Million in capital and is growing. So far it’s invested mainly in Lebanon-based startups, but also in Jordan, Saudi Arabia, the Emirates and Egypt. One of the first VC firm across the Arab World, it’s been investing since 2010, putting between $200,000 up to $5M per startup. In addition, Wamda Capital (recently spun out of a company best known as a media site, Wamda Platform) has also built a $55m fund. A newer player is Y Venture Partners (YVP), a new, early stage investment and advisory firm created by brothers Abdallah and Ghaith Yafi, who founded Lebanese ecommerce site ScoopCity as well as Canadian ecommerce site TheVolts. Henri Asseily (above), managing partner at Leap Ventures, a growth fund, is amongst the biggest supporters of the Lebanon tech scene and a former founder of Shopzilla which was sold for $500m. (He also happens to be a cousin of Alexander Asseily the co-founder of Jawbone). And these investors have been boosted by Circular No. 331. This announcement was issued by Lebaon’s Central Bank in August 2013, and it encourages commercial banks to invest in startups. The Central Bank now guarantees up to 75 percent of the value of a commercial bank’s investments into a startup. That move opened up a potential of $400 million that could be invested into venture capital funds or directly into startups. Over 15 Lebanese banks have already taken part in the scheme. One of the first startups to benefit from this scheme is Presella, founded by Walid Singer and Louay Al Kadri, which is aiming to become the “Eventbrite for the Middle East”. Presella has so far raised in the region of $400,000 and expanded out of Lebanon into Dubai, and is rapidly growing its user-based across the Middle East. Angel investors are thin on the ground, but are gradually being herded by Beirut Angels (an initiative by Samer Karam and ex-telecoms Minister Nicolas Sehnaoui). In addition there are two large organisations of the considerable Lebanese diaspora in the US who are starting to impact the eco-system. There is Lebnet (based in the Bay Area). And then there Daher Capital, a Lebanon-based family office that only invests in the US market and has had a few successful exits and IPOs. There’s also LISA (the brainchild of Mark Haidar) and TheList (Lebanese entrepreneurs and investors network). Other players include Hala Fadel, chair of the MIT EF Arab, also angel investor; Fadi Ghandour, Founder of Aramex and chair of wamda Capital, also angel investor. On the debt side, Lebanon is home to more than 50 retail banks with $140 Billion US (three times its GDP) in deposits. The reputation of Beirut being the Switzerland of the Middle East is well-earned. These banks are fueling debt financing to tech companies through a subsidised government loan program named Kafalat – a very innovative public sector initiative. Circular 331 has of course taken that up a notch by encouraging venture financing. As well as being spaced around the city, Beirut’s tech clusters include the “Beirut Digital District”. This is not state sponsored, but rather is afforded benefits like cheaper internet connectivity, and some favourable legislation around company formation. Unfortunately, most of these are not operational as the politicians that supported the creation of the BDD are now no longer in power. In addition the rental prices remain too high for the average startup. But office space is far cheaper in Beirut than in Dubai, where sales, marketing and business development offices are often put. Lebanon has one of the best educational sectors (and engineers) in the Arab World. Beirut has more than 18 universities/tech campuses. It places like this which are fuelling the rise of the startup ecosystem. Lebanon is also producing a number of successful entrepreneurs. Force of nature entrepreneur Hind Hobeika (pictured above) created the Instabeat health tracking hardware and app for swimmers which was a smash hit on Kickstarter. Elie Habib is the founder of Anghami — the first to start a music streaming platform in the MENA region which now has over 11 million users. Paul Salameh created Pou, a gamemaking millions on the app store. Ayah Bdeir (pictured above) founded LittleBits, an award-winning library of Electronics dubbed “LEGOs for the iPad generation.” Karim Safiedine founded Cinemoz, which is aiming to become the Hulu for the Middle East. And Lebanon is also sending entrepreneurs to the Valley. Elie Khoury foundedWoopra, but has since relocated to San Francisco. As has Paul Saber who foundedEtobb, a Q&A platform to allow doctors to meet patients virtually in the MENA region. Then there is Roadie, the automatic guitar tuner and app featured on stage at TechCrunch Disrupt New York last year, and created by Bassam Jalgha and Hassane Slaibi. Feedeed, a marketplace for services that give talented people the opportunity to transform their skills & services into a viable business. And Saily a second-hand local marketplace. There is even an app for real-time traffic conditions, not unlike Waze, called Tari’ak. The wider ecosystem is also buzzing with accelerators and events. These include Co-Working 961 (Co-Working); Startup Bootcamp (Pre-Accelerator bootcamp); Startup Megaphone (International promoter of Lebanon startups); SETT (a think tank based out of Beirut that is working on a 20 year plan for Lebanon’s startup ecosystem); Speed Lebanon (a community accelerator); LFE (NGO); and ArabNet (a large regional digital and tech conference). There’s also the Bader Young Entrepreneurs Program run by Fadi Bizri (pictured above). And Altcity, the co-working and startup hub started by David Munir Nabti has also made waves as an enthusiastic supporter of the scene. Lebanon is also host to many startup events. These include BeryTech’s YallaStartup Weekend; Bader’s Networking 961 event; and the MixNMentor events put on byWamda Platform, which also has an accelerator, combined with consulting and research arms). The MIT Enterprise Forum also organises a huge event for their award ceremony. So the building blocks are all there. Beirut is using its culture of freedom, its diversity, its low-cost high fun living standards and its location to its advantage in the Arab region. Hopefully its politicians will begin to realize that its emerging Internet startups need and require decent internet access. (And, that I’ll sail through immigration next time). Instabeat wins the 3rd prize of the Stars of Science competition!